Labor Day is a time for us all to take a break from being little worker bees all year long. Since the 1800’s, people here in the U.S. have been honoring all types of workers. Back in 1882, the Central Labor Union planned a march through the streets of New York City ending with a concert, speeches and a picnic. Fast forward more than 130 years, and Labor Day has become a day to celebrate with our families. But, nothing can ruin an outdoor family celebration like pests. No, we’re not talking about your in-laws. We’re talking about real-life bugs and all of their relatives, near and far. When it comes to local pest control, you want a company that has a crew of worker bees that will make your home pest free. You want Brezden’s Pest Control. Brezden’s Pest Control has been serving the San Luis Obispo area since 1980. The team of experts is familiar with many of the pests that bug residents. During the summer months, bees are a big concern since many people are allergic to bee stings. 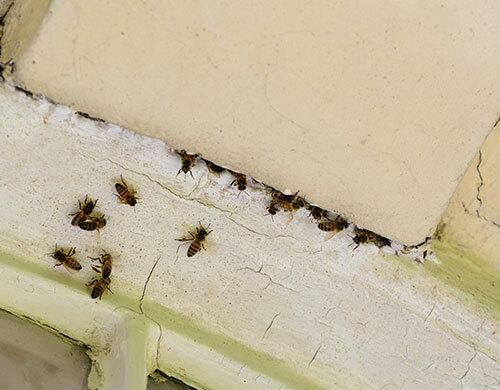 If you know of or suspect you have a bee hive, call Brezden’s Pet Control to have a trained professional come out and assess the problem. Brezden’s services are already affordable, but now there is a special online offer you can take advantage of. Save $25 off your yearly service agreement with this internet only offer (new customers only, expires 9/5/16). Whether it is bed bugs, ant control, or termite treatment let the professionals at Brezden Pest Control get the job done right the first time. Once again we appreciate your business. If you have any questions please don’t hesitate to call us (805) 544-9446. Thank you again for your support. 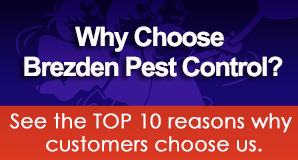 Q: What kind of pest control does Brezden Pest offer? A: Brezden Pest Control specializes in general pest control, termite inspection, drywood termite treatment options, termite repairs, subterranean termite control, ant control, earwig control, bat control and exclusion, rodent control and exclusion, dead animal removal, and bed bug control. Q: What is the turnaround time for service? A: Brezden’s offers same day service Monday –Friday as well as emergency service on weekends and holidays. 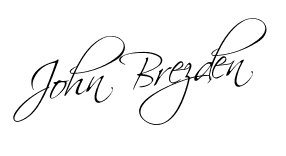 Q: What areas does Brezden’s service? A: Brezden’s Pest Control has offices in San Luis Obispo and Paso Robles. The company services San Luis Obispo county and surrounding communities, including Paso Robles, Shandon, Cayucos, Morro Bay, Templeton, Atascadero, Santa Margarita, Avila Beach, Pismo Beach, Cambria, San Miguel, San Ardo, Whitley Gardens, Los Alamos, Santa Ynez, Solvang, Los Olivos. Labor Day Art in the Park: Art in the Park is an annual tradition started by the Morro Bay art community. It gives artists a place to show and sell their work. It is held September 3-5 at City Park at 705 Morro Bay Blvd from 10 a.m. to 5 p.m. Yes in Concert at the Vina Robles Amphitheater: See the band Yes live in concert at the Vina Robles Amphitheater on Saturday, September 3, 2016 at 8p.m. Good seats are still available. Check out the theater for more details. Tedeschi Trucks Band in Concert: Come check out the Tedeschi Trucks Band in concert at the Avila Beach Resort this Labor Day weekend. The show starts at 4:30 p.m. on Sunday, September 4, 2016. Admission is $40. For more information call 1-888 825-5484.